Home Economy Analysis/Features Retiring Richly; What are Your Responsibilities? We are in an era where there is a global call for individuals to take control of their financial needs in retirement. The time for governments and companies taking care of pensioners is OVER! Some western countries that have always been known for their sound social policies towards the aged are making brisk shifts towards a more private provision of pension. Governments instead of taking on the duty of dishing out retirement payouts to pensioners have rather resorted to giving incentives to motivate individuals to join private pension schemes to take care of themselves. The typical incentives are tax concessions towards contribution, investments and earnings geared towards retirement. USA and Australia have more people on private pensions than on government’s facility. Some actions have been to make people work longer, give more tax and cash incentives for private pension participation among others. Globally there is a steady growth of schemes where individuals are taking the risk of pension provision rather than relying on a company or government (Melbourne Mercer, Global Pension Index Report 2017). Companies who hitherto provided pension for their retired staff have literally ended up burning their fingers with huge pension liabilities sitting on their books. Such organisations have rather opted to contribute into schemes belonging to employees in which case employees are bearing the risk. Simply put pension provision has moved away from ‘socialist’ to ‘capitalist’. What does it all mean for us in Ghana? Ghana is part of a global system that has shifted towards making individuals own the risk and responsibility for providing for our own retirement. The recent 3-tier pension is in line with a World Bank recommendation of making multi-pillar pension system with a lot more private and voluntary participation. One would notice that the 3rd pillar being a voluntary contributory scheme has a higher tax allowance of 16.5% of the taxable gross salary. This is much higher than the mandatory 2nd tier which is only 5% of the taxable gross salary. What it tells you is that you need to do more on your own than what the 1st tier would give you. Suffice to say that even the 1st Tier by SSNIT is contributory which requires one to contribute before enjoying the benefits. For a country like Ghana that has seen very little social intervention, self-planning for retirement is a must. Consciousness of the retirement stage of life and the fact that it needs planning. It looks like a no brainer, but in my retirement planning sessions, I’ve met people with under 10 years to go on retirement and totally oblivious of what it brings. It is a recipe for misery in retirement. For some informal sector people, they don’t seem to have the choice than just to wait and live one day at a time, they build their businesses but at the expense of the old age provision. You need to have an idea how much is enough for you in retirement. This exercise could be a bit abstract especially if you have a relatively longer time say 15 or 20 years to go on retirement. It is however possible to do so in today’s terms. This would directly inform what you need to do to realise the estimated benefits. There is the need to keep family in mind. 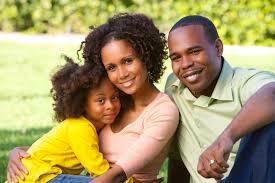 For instance, consider the kind of pension arrangement available to your spouse and whether there is a ‘pension baby’. Planning should also include what to expect from each tier of the pension framework. For instance one should know that SSNIT would only pay monthly benefits and no longer pays lump sum. Be familiar with advantages the other tiers would give them. This should help in deciding where and how to commit resources into the various tiers to build them up for adequacy. Getting it right at this stage helps to prevent over-estimation in benefits. Over-estimation of benefits has dire consequences when one realizes very close to retirement that they would not earn as much as they had expected. You need to consider other options that may be available to you apart from the proceeds from the pension funds. You should know how the options would provide income in retirement as well as the risks they are exposed to. One should know what it takes to nurture or manage them to be able to provide retirement income that would last the entire time. It could be noted that many people have planned with a business or an asset which looks good now but may not necessarily be able generate enough proceeds to support them on retirement. This could be due to many reasons which would be discussed in a future article. These may not be all the actions that define retirement planning but is certainly a good place to start. With the pensions and insurance industry still developing, we should expect Annuities and Long Term Care (LTC) products/policies to hit the market soon. This should enable us to plan for our personal care in old age. Our generation may not have the benefit of family or even children support in the way our generation has done for our parents. This is from the fact that our society has become more individualistic and communal support, even in the village, has ebbed away. All these considerations come as part of planning for retirement. The truth is retirement comes whether invited or not, and whether ready or not. No amount of date of birth adjustments and plastic surgery can hold it off. We all just have to be ready when it comes. The good thing is retirement would not come like ‘a thief in the night’. We see it approach every day and the way to make it better is to be your own man and take hold of the planning.